This chapter reviews the history of migraine headaches and development of the first headache classification. The most current international classification of headache disorders is reviewed with the main focus being around those headache types that frequently represent therapeutic challenges. Key symptoms that may guide the practitioner in the diagnostic process of these headache conditions are discussed with special attention devoted to the medically resistant headaches. 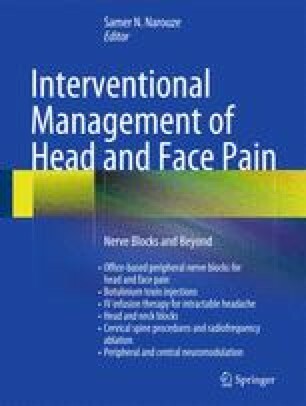 This chapter will discuss diagnostic challenges and commonly suggested diagnostic criteria that should be helpful in deciding when it should be appropriate to refer patient to a headache specialist and when to apply an interventional treatment strategy.